I can't wait to get my Elite Cuisine EGC-007 Maxi-Matic Egg Poacher &amp; Egg Cooker with 7 Egg Capacity for $13.76 (Retail $24.99). -Your 100% satisfaction is our top priority! We guarantee it! Have an issue? Let us know! Lifetime Limited Warranty! 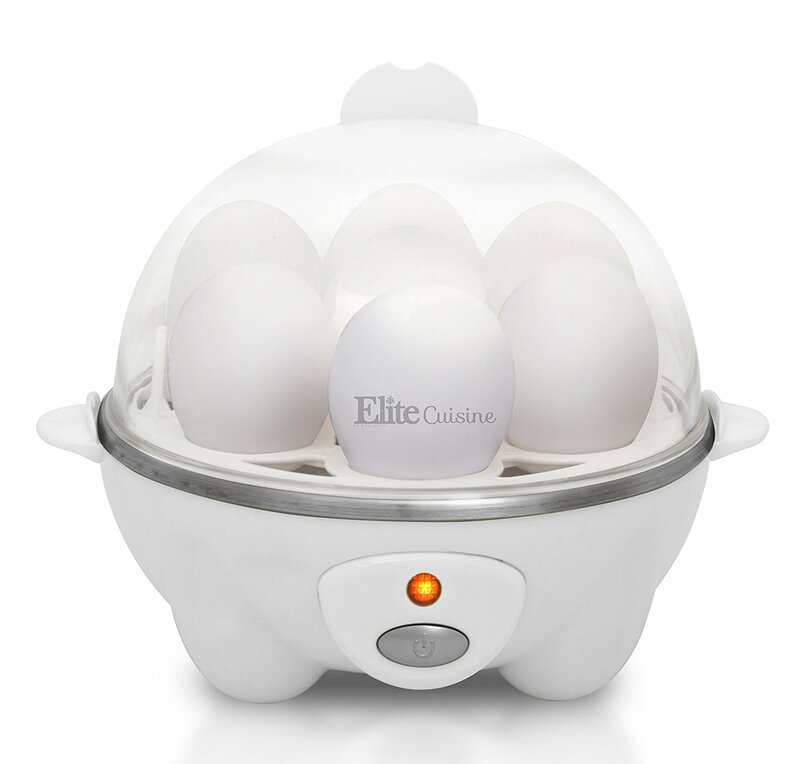 -Cook up to 7 eggs in soft, medium, or hard boiled firmness, while saving time and water. Eggs come out consistently perfect, shell is easy to peel, and clean up is super easy! -Fill measuring cup with water to the desired firmness, press the power button once and within minutes your eggs will be "Egg-Celent!" -Auto-off and built-in cooking timer gets it right everytime! -Includes measuring cup with firmness markings, egg tray, poaching tray and omelet tray.